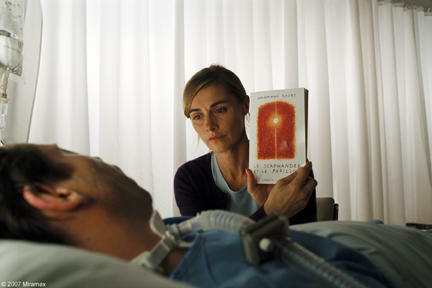 Mathieu Amalric and Anne Consigny in "The Diving Bell and the Butterfly." Anne Consigny as Suzanne in "Wild Grass." Anne Consigny at the premiere of "Vicky Cristina Barcelona" during the 61st International Cannes Film Festival. 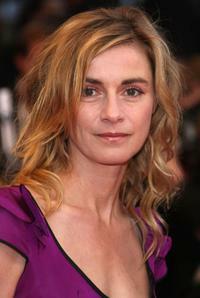 Anne Consigny at the premiere of "Un Conte De Noel" during the 61st International Cannes Film Festival. 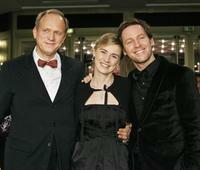 Ulrich Tukur, Anne Consigny and Florian Gallenberger at the premiere of "John Rabe" during the 59th Berlin Film Festival. 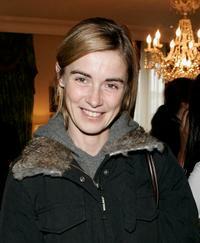 Anne Consigny at the press conference of "John Rabe" during the 59th Berlin Film Festival. Anne Consigny and Mathieu Amalric at the premiere of "Un Conte De Noel" during the 61st International Cannes Film Festival. Anne Consigny at the "Espace Glamour Chic" gift lounge. Francois Berleand and Anne Consigny at the "Espace Glamour Chic" gift lounge. 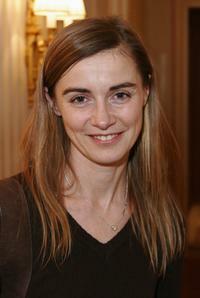 Anne Consigny at the photocall of "Wild Grass" during the 62nd International Cannes Film Festival. Anne Consigny and Michel Vuillermoz at the photocall of "Les Herbes Folles" during the 62nd International Cannes Film Festival. Anne Consigny at the premiere of "Wild Grass" during the 62nd International Cannes Film Festival. Edouard Baer and Anne Consigny at the screening of "Les Herbes Folles" during the 62nd International Cannes Film Festival. 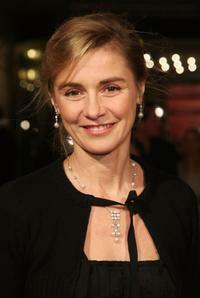 Anne Consigny at the premiere of "John Rabe" during the 59th Berlin Film Festival. Sabine Azema, Anne Consigny and Andre Dussolier at the photocall of "Les Herbes Folles" during the 62nd International Cannes Film Festival. Emmanuelle Devos, Sabine Azema and Anne Consigny at the photocall of "Les Herbes Folles" during the 62nd International Cannes Film Festival.